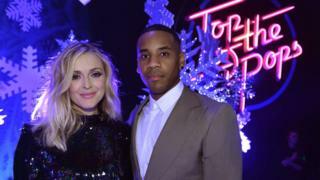 Presenter Reggie Yates will not host this year’s Top of the Pops holiday specials after making “ill-considered remarks” in a podcast interview. Yates apologised last month for using the phrase “fat Jewish guy” to refer to managers in the music industry. He has now tweeted to say he has “taken the decision to step down” from hosting the music shows, which were due to air on Christmas Day and New Year’s Eve. The presenter added that he apologised “unreservedly to the Jewish community”. In his latest statement on Twitter, he said his words “reinforced offensive stereotypes” and that the comment was “no reflection on how I truly feel”. The host, who also presents The Insider series for BBC Three, was due to present this year’s holiday specials of long-running show Top of the Pops with Fearne Cotton.